Most early work is probably best forgotten. Although when I was six I wrote stories about a brilliant detective (who also happened to be a six-year-old girl) and I remember thinking they were very good. Deborah Eisenberg was my teacher in grad school, and I return to her stories again and again and again. Also Denis Johnson—I read his final book of stories as slowly as possible in order to savor it. For the last thirteen years I’ve worked as an aerialist (silks, trapeze, etc. ), performing, teaching, and for nine years running my own teaching studio in Boston. Before that, many of the usual suspects: teaching English, grant writing, waitressing, plus theater carpentry, house painting—things like that. This piece belongs to a story collection inspired by life in and around a skateboarding compound in rural Appalachia. I spent a lot of time there, and wondered about the kids growing up nearby. What if your options seemed to be, on the one hand, your sickly, joyless mother, and on the other hand, the unimaginative and unremarkable other kids in high school. But then, in this particular area there’s a third thing—a bunch of punked-out Lord-of-the-Flies men up in the hills, and they frighten and compel you in equal measure. I’m a sucker for places! Most of all, I like a place you have to puzzle out, learning its secrets in order to navigate. I mentioned this rural skateboarding compound where several of my stories are set. Also, I just moved back to Seattle, where the novel I’m working on takes place. But it’s set in the nineties—when I lived here as a coffeehouse-haunting teenager—so in 2018 I keep walking around, squinting, trying to re-imagine the pre-internet, pre-boom Seattle that rattled my cage twenty-five years ago. When I can’t focus, I love to blame it on external things like the music being too distracting. So I have a shoegaze playlist that is beyond reproach. Usually, I just make or buy a huge amount of coffee in a thermos. If the coffee is not piping hot, I drink it too quickly, and it’s hard to keep working when it’s gone. I do my best, most free-flowing writing when in motion, so I will sometimes ride a regional bus or train somewhere for no other reason. Music! I would play sweet guitar licks that make all the boys swoon! But seriously, I imagine being part of a band would allow the collaboration that is largely absent from a writer’s life. Plus, playing live you’d reach your audience in real time; you’d all be living in the moment together. That’s not something I get to do as a writer. “Watermark,” by Joseph Brodsky. It’s a book of gorgeous vignettes from the many winters he spent in Venice. 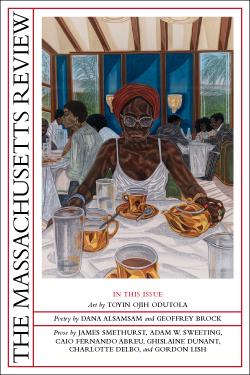 JILL MAIO’S work has appeared in Ploughshares, Alaska Quarterly Review, and Third Coast, among other journals. Her story “Tallying,” published in the Los Angeles Review, was nominated for a Pushcart Prize. 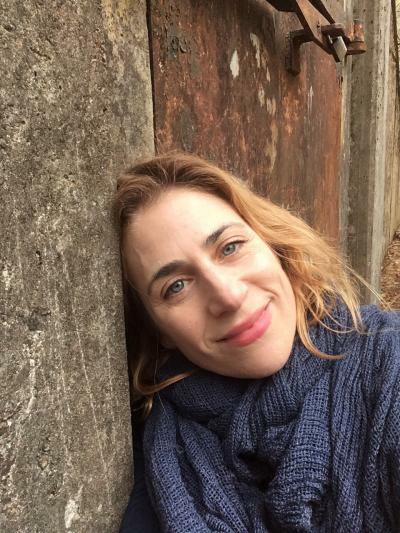 Jill holds MFAs in Creative Writing from the University of Virginia and Boston University, and is a 2018 recipient of the Massachusetts Cultural Council’s Artist Fellowship in Fiction. Also a professional aerialist, she is the founder/director of an aerial arts school in Boston.